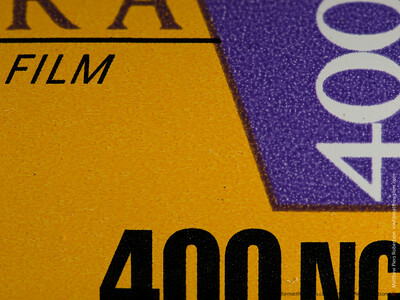 The Long Version: The F100 is the D700 of the last century. It's the smaller pro body that undercut the top-of-the-line F5 by offering nearly identical performance - and some improvements - for significantly less money. It has the same autofocus, and naturally takes the same film, so the fundamental image quality is the same. There are certainly differences between the F100 and the F5, but even for most professional photographers the smaller camera is the one to choose. An when I adjust the Canadian price that Edwin Leong quotes from 2000 for inflation, the F100 would be selling in 2009 for about $2600, about where the D700 is today. Plus ça change, eh? And just in case any digital people think that spending that much for a film camera is an historical anachronism, well, maybe that's true. But check out the price of the Nikon F6 some time. Since this is almost certainly the first F100 review of this decade, I have to say how nice it is to have depreciation work in my favour for a change. I bought the penultimate Nikon of the last millennium for about ten cents on the dollar. It's a shocking price considering what a great camera it is, and the one that I bought second-hand is probably in better shape than my year-old D700. It's compatible with all current Nikkors, including those upstart VR doohickies, and is perfectly happy with AF-S and HSM motors as well as driving lenses with its own AF motor. The F5 is a bigger camera that's still more expensive, and the F6 costs a fortune: the F100 is still the best 135 film camera for a digital photographer. 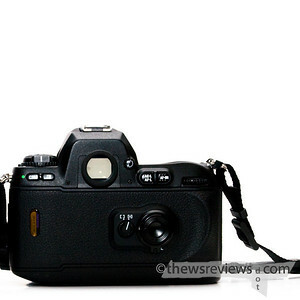 Compared to even a 'beginner' digital SLR, the F100 is an incredibly simple camera to use. There are less than twenty buttons to choose from, and most of them can be safely ignored. One of them serves no known useful purpose, and another is used to get to the Custom Functions menu that appears on the top - only - LCD. That's where the camera can be customized with many useful-but-set-it-once options. The only controls that I actually use when taking photos are no different from the current digital SLRs: AF mode switch on the front, focus point selector on the back, command dials for the aperture and exposure compensation, and shutter. The Mode button is in a different place than on my D700, and the three buttons on top of the drive selections are also a little different. The F100's includes flash control (but doesn't have one built in) and a bracketing button. That's one that I miss on my 700; I still can't believe that such a useful feature for a digital camera needs to be assigned to a custom button function. Amusingly, the one button that they do share is iso selection, as the F100 has the option of taking its setting from DX-coded film or letting the photographer override it. Otherwise, there is remarkably little difference in the working handling of the two cameras; my Olympus E-1 and E-3 have less in common than these Nikon designs that are a decade apart. The complexity of selecting a focus point was one of the big complaints about the F100 when it was new, and the word 'Nintendo' was used a lot. While multi-point pads and four-way controllers are now common, the F100's setup still feels primitive and awkward. Its five focus points should have been selectable with five direct buttons. With the gamepad, if the AF point is on the far right then I need two 'left' presses to move it to the far left, but if the current AF point is the bottom, top, or centre then it only takes one press of the 'left' side. Worse, to return the AF point to the centre - the most important setting to be able to get to quickly - the photographer needs to see/remember which point is active and then steer it back to the middle. The only way to centre it without looking at the camera is to press one side of the controller pad twice and then the opposite side once. Very little annoys me more than having buttons behave differently based on conditions that aren't obvious, making this my biggest complaint about the F100. It's a good thing that Nikon fixed that problem on its later cameras by adding a central 'return to home' button option many, many years ago. Otherwise, I'd continue to be annoyed. There are two things that tell me when I'm taking a photo with my F100. First, the autofocus isn't nearly as clever as I'm used to. The subjects that I shoot, which are often made up of repeating patterns or essentially featureless areas, can confuse it in ways that just don't happen with modern cameras. My E-3 and D700 can both lock focus on the texture of the paint on my living-room wall with nothing but a 60-watt bulb for illumination, while my F100 can be stumped by stucco on an overcast day. 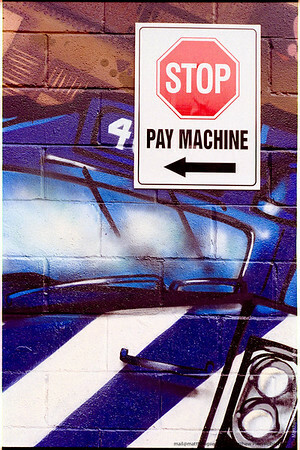 Secondly, when I actually take the photo with the F100, I enjoy it more than I do with any of my (many) other cameras. 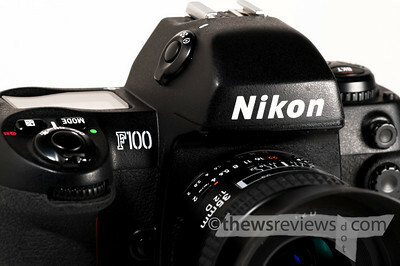 For the actual experience of making the exposure, mentally and sensory, shooting with the F100 is absolutely wonderful. The only digital camera that comes close is the solid and subtle Olympus E-1, and its shooting experience is dulled by my compulsion to review the photo immediately. That takes me away from the scene and breaks the moment in a way that film doesn't allow; even the "I just spent fifty cents to take that picture" reaction of hearing the film advance can be unlearned comparatively easily. Granted, it did take me about two rolls of film before I stopped automatically reaching for the 'play' button on the back of the F100. Old habits and all that. Naturally, the experience and pacing of using a film camera is completely different from digital capture. Anyone who has read this far - or even bothered to skim through and has picked it up again just now - doesn't need to be told about the many valid reasons why film cameras are now only used by people who make a point of using them, such as art students and Freeman Patterson. (Smart man, him.) I'm not someone who's romanticizing the notion of 'analog' photography, either. 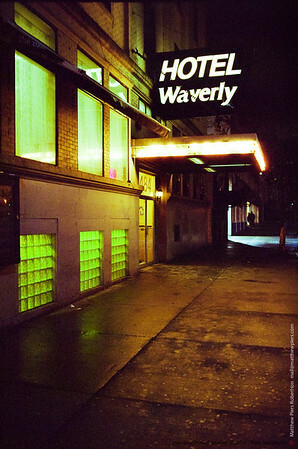 Even film photography is digital: minilab prints are typically made from scans, not optical enlargers. My film camera is the start of a digital workflow, and that's okay. It gives me another tool and a different look in this digital age, and is another way of enjoying this hobby. It's a beautiful machine. I can't say that it has improved the quality of my photographs, either technically or artistically, but that's not really the camera's job. Its ultimate purpose is just to make me happy, and it does that perfectly. I have a Canon Powershot S2IS, which got me interested into photography. Its still a very fine camera, expecially with the 36-432 eqvlt 2.8-3.5 Lens. But it is only 5 Mp, and does have its autofocus issues. I am thinking of taking the SLR plunge, with film, now that used film SLRs are so inexpensive to buy. here, where I stay, I am getting a used F100, in supposedly mint condition for about $ 220 US, and im inclined to pick it up. I just want to know what are the things i should check before i pick it up. Any help would be highly appreciated. Lens suggestions are also welcome. I am thinking of 24/2.8 and 85/1.8, though they wont be bought together (budget constraints). No problems with zoom lens, but am not sure which one to buy. I need a wide and a short-medium telephoto. I'm actually a really bad person to ask about a pre-buying check - I picked mine up from eBay, and had never actually seen one until I opened the box. I'd suggest trying it out with a lens, to make certain that the AF works, and just giving it a general once-over to see that it's solid and in good shape. You should be able to fire the shutter, AF, and meter even without film in the camera. All you need to get it to work is four double-A batteries. I'm a huge fan of the 85/1.8, it's a great lens and a perfect match for the F100. (Reviewed here.) Of course, lens choice is always a personal thing based on your own preferences, but this focal length is one of the traditional greats. Mike Johnson once wrote a slightly tongue-in-cheek article about the use of different lenses, where he calls the short telephoto (75-105mm) 'essential'. I like to pair my 85/1.8 with a 35/2 on my F100. Wide angles are even more personal than telephotos, since they have such a strong effect on the perspective and relationships within a composition. The 24/2.8D doesn't appeal to me as an general-purpose lens, but it is nicely built and I've heard very good things about it. If you routinely think that the lens on your S2 isn't wide enough, then the 24mm could be a good choice. Good luck - and I'd love to hear what you choose, and what you think of it. thank you very much matthew.. i looked at the camera but didnt find it worth the money, so gave it a miss.. I can't say that I've ever missed the MLU on my F100. I'll use it on my D700 when I'm using a shutter release cable, but only after I've tweaked and refined a product shot to death. I suppose if you'll be using a camera on a tripod then mirror lock-up is always good to have, but for me the F100 just doesn't seem like that kind of a camera. It's just too nice to hold and use to get all clinical with. And for what it's worth, buying a decent film camera and sticking to one or two good but not outrageous lenses is something that's very high on my "if I knew then what I know now" lists. Me being me, I'd also want a digital P&S, but I have to say that I really think you're on the right track. Great review Matthew. I am looking at getting an F100. I shoot with a D700 and I really want a hobby so I'm looking at going back to film - for the hobby...to make me 'happy'! I think your last paragraph is spot-on. I do have a question - I've read that there are newer versions of the F100 where they have fixed the AF problem. How would you know which version is the newest? I was looking at F100 on ebay but I don't want to get the oldest version which has a few known problems. Any help would be appreciated. Thanks very much. I know exactly what you mean about wanting a film camera as a hobby; there's a different feel and pace to it that can be quite distinct from digital photography. I still really like coming home from taking photos and being able to put the camera away and relax. There's no need to fire up the computer and download photos, no pressure to start sorting through the multitude and editing. A few days later I'll be able to feed the negatives to the scanner and see them with fresh eyes, which always helps the process. Unfortunately pretty much everything I know about the F100 is from this one particular camera, but I do try to draw some more from good internet sources, like Thom Hogan's bythom.com. I've certainly never had a problem, or talked to any other past or present owners of the F100 who did. If the price seems good then I see no reason not to buy an F100 – and if it doesn't turn out to be the right camera for you and your lenses, it's still going to be worth about the same amount as you paid for it. The F100 & D300 are like twins, just that the later is digital. many of the functions overlap with both being targeted at the same audience at their release, just that they are from different generations. The best part is the size and weight are almost identical.. and this leads to lesser problems. Auto focus on the F100 + 28-105D is fast, though I have to check the developed negatives for that. Also, being a 5fps body, I inadvertently made two exposures..I am thankful that the shutter is *so* noisy. Had it been like my mom's Yashica MG2, it would have been curtains for the roll of Kodak 400 ultramax (cheap consumer general purpose film), in the testing phase itself. ohh, one last thing, the 80-200f4 AIS nikkor is a beautiful optic, and a very precise manual focussing beast. its heavy..but the lens is just so smooth to feel when being focussed. the manual focussing of my other lens cant hold a candle to it. Finally I would like to thank you for the candid discussions we have had and also for your reviews. I feel like it's worth a mention that Custom Function 6 allows continuity when selecting focus points with the pad -- that is to say, if your currently selected point is the furthest right, setting C Fn. 6 to '1' would allow you to simply hit the right side of the pad to select the left point. This works the same for top and bottom, in either direction. Old review, but food for thought for anyone reading this from link jumping via the recent F5 review.